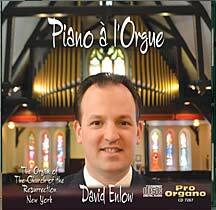 David Enlow is a “commanding” organist (The New Yorker), teacher, and conductor based in New York, who is active in North America and Europe. 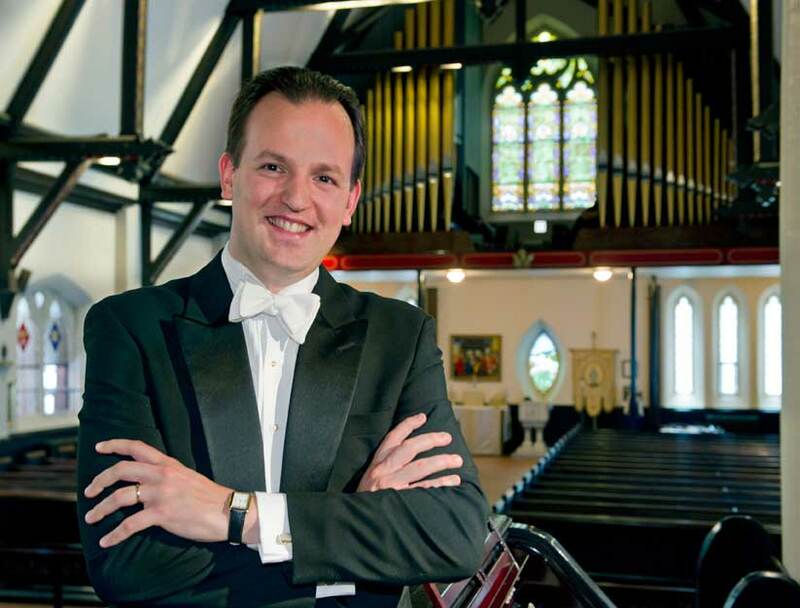 Credited with “immense virtuosity” (Stuttgarter Zeitung) and “performances full of color, passion, invention, and power” (The American Record Guide), David works in concert music and church music. 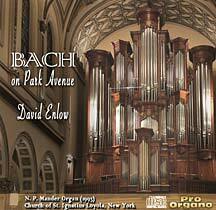 His solo recordings include Pater Seraphicus, the complete major organ works of César Franck; Piano à l’Orgue, an album of piano transcriptions; and Bach on Park Avenue, recorded on the Mander organ at the Church of St. Ignatius Loyola in New York. 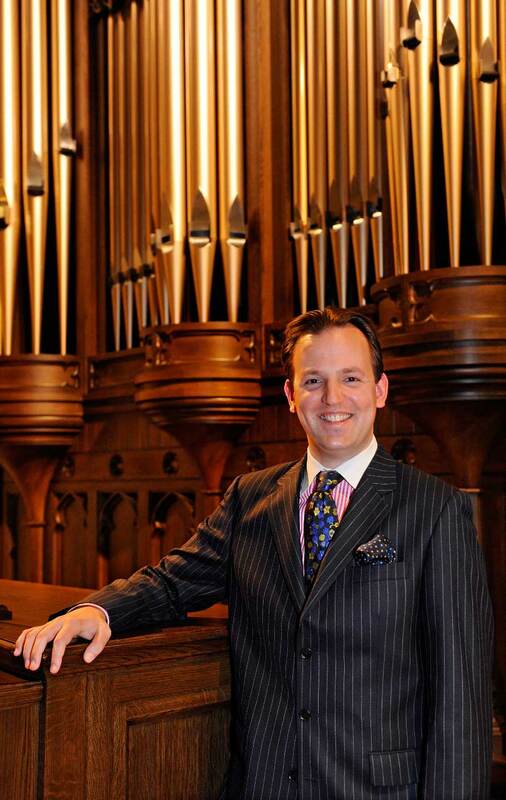 David has taught church music, service playing, improvisation, and organ repertoire master classes for local, regional, and national events of the American Guild of Organists (AGO), the Royal Canadian College of Organists, and at the Juilliard School, from which he received two degrees. 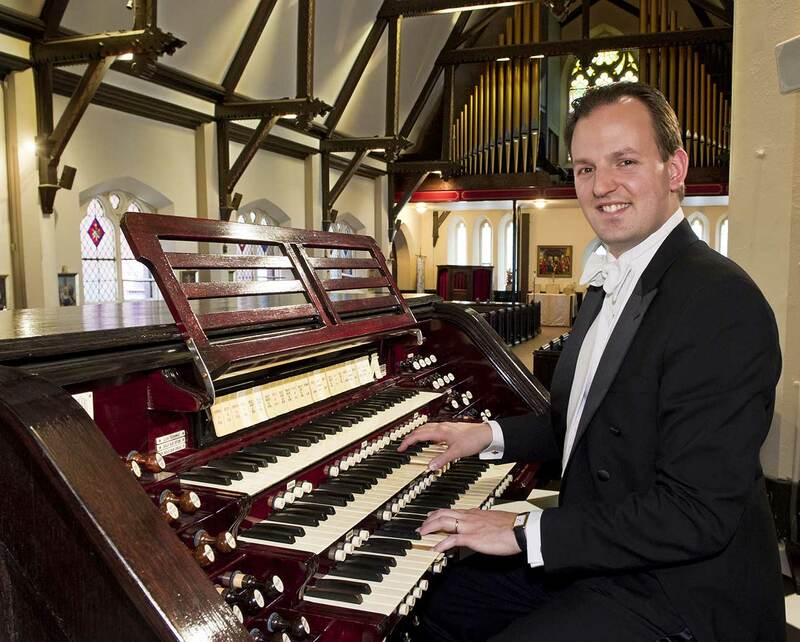 David also received the Fellowship diploma, with both prizes for highest marks, from the AGO, which resulted in his joining the committee on professional certification, which sets the standards for the national organist examinations and grades them. David then served two terms as Dean of the New York City Chapter AGO. 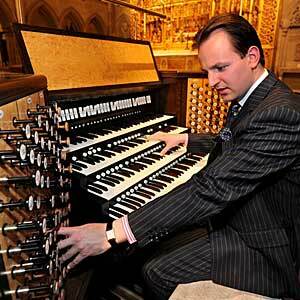 In national organ performance competitions, he received the first prizes of the Albert Schweitzer Organ Festival (USA) and the Arthur Poister Competition, and has recently served as a judge for several others including the Albert Schweitzer festival and the AGO’s improvisation competition. 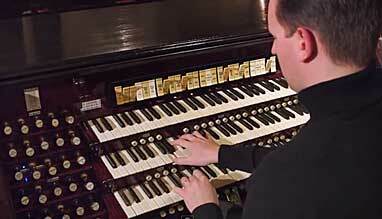 David studied the organ with Paul Jacobs, John Weaver, and John Tuttle, and improvisation with Gerre Hancock. 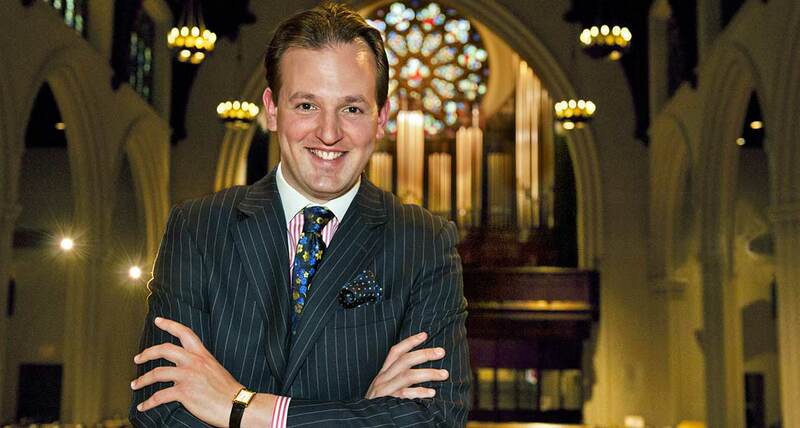 David’s work at the Church of the Resurrection on Manhattan’s Upper East Side, where he arrived in 2001 while still a student, has included directing performances of over fifty different settings of the mass each year, sung by the church’s professional choir. The music program places special emphasis on the great works of Mozart, Haydn and their contemporaries, often offered with chamber orchestra, but also includes plainsong, Renaissance polyphony, Baroque music, and 20th-century works. 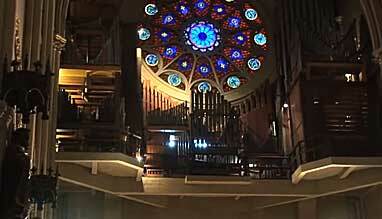 For two years, the church offered choral evensong, featuring the 19th and 20th century cathedral repertory. 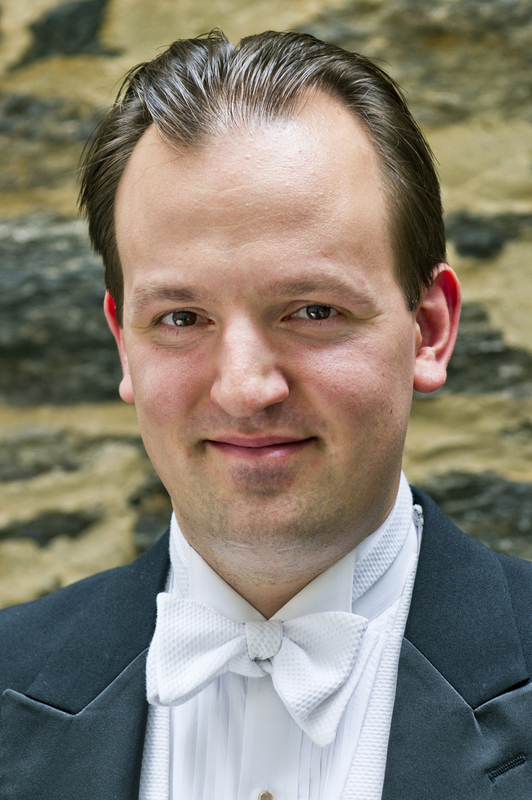 David serves as Assistant Conductor and répétiteur to the Clarion Choir and has appeared in most all of New York’s major concert halls as an accompanist at the piano with choruses, solo singers, and in performances of chamber music. 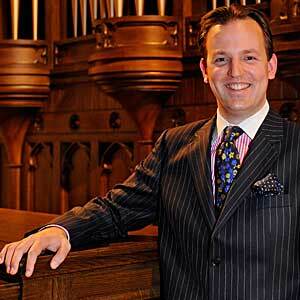 In early music, David is also organist of the Clarion Music Society, and appears with various groups at the organ, harpsichord, and fortepiano. 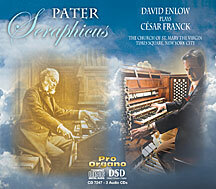 Pater Seraphicus, the major organ works of Franck by David Enlow at the organ of St Mary the Virgin, Times Square, New York City. [Pro Organo CD 7247 ; 3 CD] At first hearing, the entry of the reeds is surprising, or even confusing, as their character is very different to that which our ears are accustomed to. We must over-ride that, and put aside our Franck-ist and Symphonic atavism. David Enlow truly has much to say in the works of Franck, which he has perfectly comprehended and which he renders with personal expression while remaining faithful to the spirit of Franck. 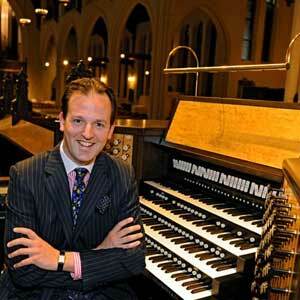 This approach is well suited to American organs, especially the Church of St Mary the Virgin in New York (Aeolian-Skinner Op. 891, 1932, revised and augmented from 1988-2002 by Mann & Trupiano) is a gem. 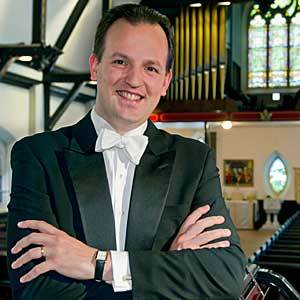 …the interpreter of this Franck set is David Enlow, graduate of the best American schools. 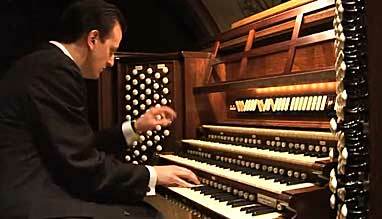 He is a pure example of what the U.S. can offer, for an organist, at its best: perfect technique, inventive, flexible, vigorous musicality, free of conventions of registration that often make Franck's music so boring on the Old Continent. In short, we have here all the ingredients of a lively rendering neither too fast nor too powerful, with magnificent reed colors, a sense of phrasing of extraordinary good taste and a subtle and effective rubato. Compared with the two very beautiful sets of Franck works mentioned above, we are here in a state of total surprise at a happy encounter with a joyfully revitalized. "Without a doubt, the artist has a flawless technique. 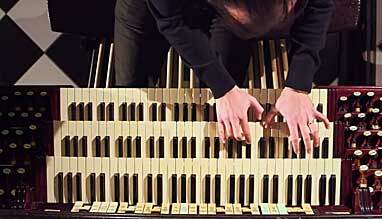 His reading of the different works is remarkable, and is reflected in his playing." Give an audience an impressive finale, and their roaring approval is guaranteed. This assertion was proven by David Enlow at the Collegiate Church. 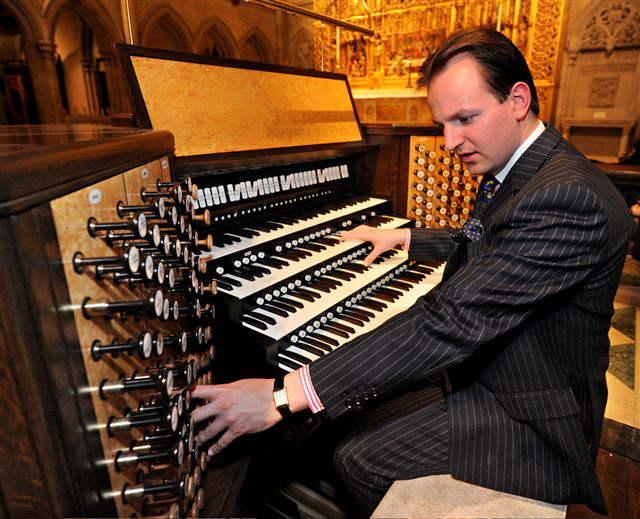 The Canadian organist literally pulled out all the stops, including [the zimbelstern], in Henri Mulet's Carillon-Sortie, a performer's delight which attested to Mr. Enlow's enormous virtuosity. 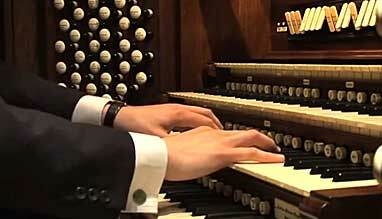 Virtuosity marked the program from the outset in Bach's Toccata and Fugue in F major. 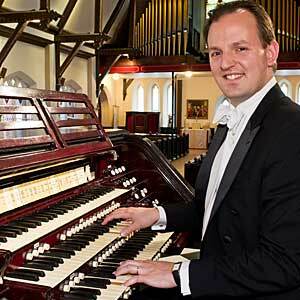 Enlow shaped the monumental Toccata into a multi-hued showpiece complete with lively pedal-work which contrasted with the gravitas of the fugue (...). Even more striking than his technical brilliance are the Canadian's imaginative and rapid registration changes, which make him an artist of interest. 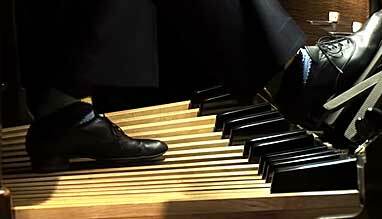 The whirring dance of Louis Vierne's “Naïades,” glimmering from within the closed Swell box, played a delightful contrast to Mozart's Fantasie in f minor. This play of alternating styles and sound effects is a major element of Enlow's interpretations. This applies on the one hand to the dramaturgy of his programming, which alternates symphonic-romantic pieces with simpler compositions. 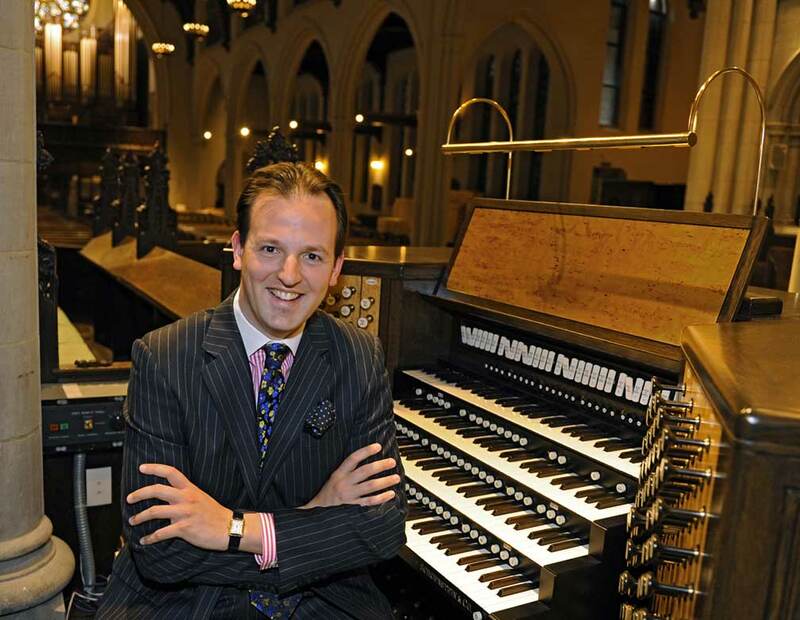 On the other hand it also applies to each separate work, within which Enlow searches out the most varied colorations possible, exploiting the full resources of the Collegiate Church organ. 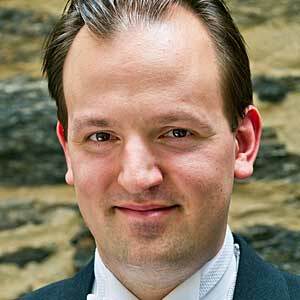 Such is his treatment of the Mozart Fantasie, particularly of its dynamic effects, in which he transfers the principles of Mozart's symphonic orchestrations onto this organ work. 2014 © David Enlow. All Rights Reserved.